Montreal is a city in the province of Quebec in Canada. Montreal is the largest city in Quebec and the second largest in Canada. 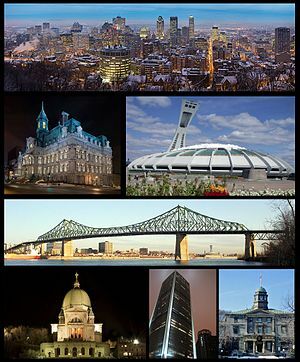 The original name of Montreal was "Ville-Marie" or "City of Mary". Montreal is on the Island of Montreal, which took its name same as the city did, and a few smaller islands like Isle Bizard. Back in 2011 the population of Montreal was of 1,649,519. In Montreal, French is the official language and it is spoken by 56.9% of the population of the city. English is the second most spoken language with 18.6, and other languages have a 19.8% of the population. Montreal was named as a UNESCO city of design. As well in other details, Montreal remains as an important centre of commerce, aerospace , finance, design, tourism, film, culture. Historically Montreal was the commercial capital of Canada but it was surpassed in the 1970's by Toronto. 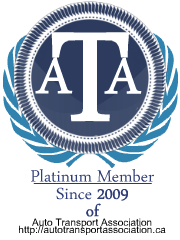 Do you want to become another satisfied auto transport client in Montreal? SHIP MY RIDE has everything you need to do it, certified equipment, proper insurance, experienced staff and more! We handle freight, cars and trucks from and to Quebec in our daily basis. Request a car or truck transport quote now so you can see for yourself what we are talking about. Become part of the largest vehicle shipping network in Canada. Give us the opportunity to prove you why we are the best, CONTACT US for more information we guarantee you won’t regret your automobile transport decision. Whether you are shipping your car or truck for vacations, business, because you bought it or simply need it in another city SHIP MY RIDE can facilitate your car transportation. Vehicle shipping is what we do, we do this every day. You can trust SHIP MY RIDE with your vehicle and rest assure we work to provide you with the best car shipping experience.